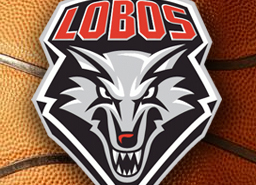 Congratulations to the UNM Lobos and NMSU Aggies for winning their respective league tournaments and earning an invitation to the 2013 NCAA Men’s Basketball Tournament. The Lobos, 29-5 on the season and a #3 seed in the West bracket this year, will begin play against Harvard on Wednesday in Salt Lake City. They will be playing in their 3rd NCAA Tourney in the past 4 years. The Aggies, a #13 seed in the Midwest bracket, will open the tourney against St Louis on Wednesday in San Jose. 5 Teams from the Lobos Mountain West Conference made the tournament this year. The Aggies were the only team invited from the WAC. The NCAA Basketball Tournament, better known to fans as March Madness, will begin on Tuesday, March 19th and continue through the National Championship Game on April 8th. You can catch all the exciting basketball action in HD on DIRECTV. Game will be shown on CBS (Channel 13 on DIRECTV in Albuquerque), TNT (Channel 245 on DIRECTV), TruTV (Channel 246 on DIRECTV, and TBS (Channel 247 on DIRECTV). All times are p.m. and EDT.